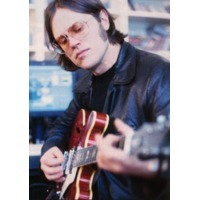 Sidney Matthew Sweet (born October 6, 1964, in Lincoln, Nebraska) is an American alternative rock/power pop musician. He was part of the burgeoning Athens, Georgia music scene in the early and mid-1980s before gaining commercial success during the early 1990s. He continues to release albums and tour.